Udon in general is pretty awesome, but Tempura Udon is even better. There’s a 90 per cent chance that if there’s Udon on the menu, I will order it, even if there are dishes I haven’t tried before (It’s the same with Wiener Schnitzel – My family would choose all kinds of fantastic dishes and I would stick with my Schnitzel). But WHY am I so hooked up with this noodle soup? What’s so special about it? Obviously. Tempura Udon tastes like fish (duh), but also veggies, salt, even a trace of an unknown sweetness can be found. I love dishes that are more on the salty side and I absolutely love prawns. The noodles itself have a low fat content. This makes it easier to maintain a healthy weight and lower the risk of heart diseases. Also, they contain a lot of carbs, which supplies you with energy! One regular bowl of Tempura Udon and I am done. I can only swallow my usual after-dinner-espresso. Any normal person will be full. 4. You can find it everywhere. 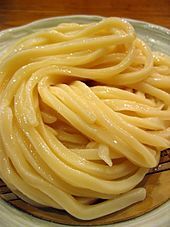 Nearly every decent japanese restaurant has at least one Udon dish on its menu. In most cases, it’s on the cheaper side (unless you’re at some high-class-design-restaurant). 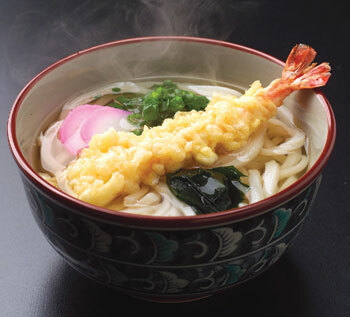 Udon is something everyone can do at home. You just need the right ingredients (and some patience)! Interested? This is one of my favorite recipes! I tried it once with a friend and the result turned out to be incredibly delicious! Picture sources: here, here and here. 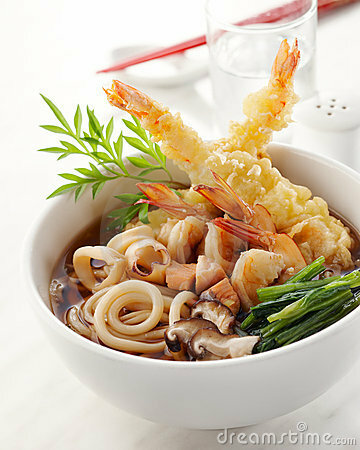 Tempura Udon is definitely delicious but I’ve always prefer soba or any thin noodles for that matter. Still it is a DELICIOUS dish that should not be ignored. Yeah I’ve often heard that most (non-japanese) people prefer soba. I can relate to that, but I’d always prefer Udon, haha! Nom nom! I love any kind of udon.